According to my GPS log, this was taken at Haight Ashbury, San Francisco. This could go well with this photo. 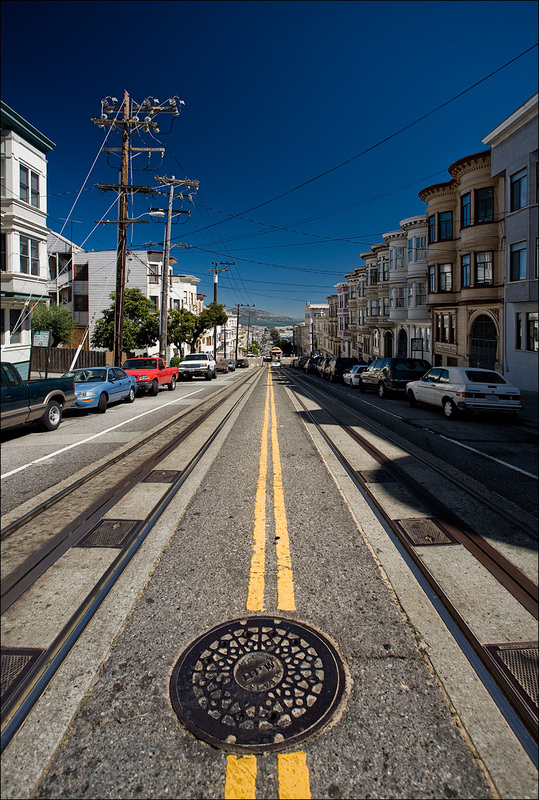 Correction: My GPS logger wasn't set to the right time offset, so this is actually shot around Mason & Union in SF. Thanks to all of you for the correction.